Born and raised in Silver City, they’ve both been continuously performing live and recording their own original music and on various projects by artists both local and out of town. Influenced by The Beatles, the Beach Boys, Merle Haggard, and War, to name a few, singing vocal harmonies is one of their favorite aspects of making music. The Montoyas were recently recognized by the Grant County Chicano Music Project as one of the few remaining groups to continue the musical legacy rich in this community. As well as hearing them live in the studio, we look forward to talking about the local music scene, how it’s changed over the years, and how Silver City has both given birth to and attracted great music and musicians for many years. 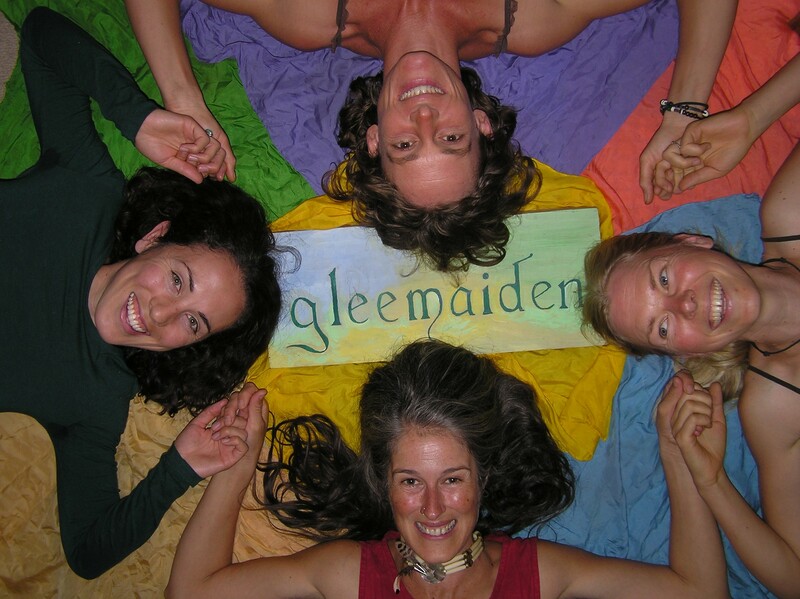 In the second hour, we’ll visit with “Gleemaiden,” a local, all-women a cappella group which performs regularly at a variety of local venues, including Pickamania in 2012. Wind Markham, Elizabeth DeMoss, Maria Casler and Kori Wilken are all mothers of young children – and sometimes one might sing with a babe in her arms. We expect to talk to them about how music is a part of everyone’s lives, the role of music in family and community, and the unique role of a cappella music in the world today. So tune up and tune in to KURU 89.1 FM! or stream it live at GMCR.org. We’ll begin right after the “Community Calendar” and “Workers Independent News,” at about 6:15-:20.